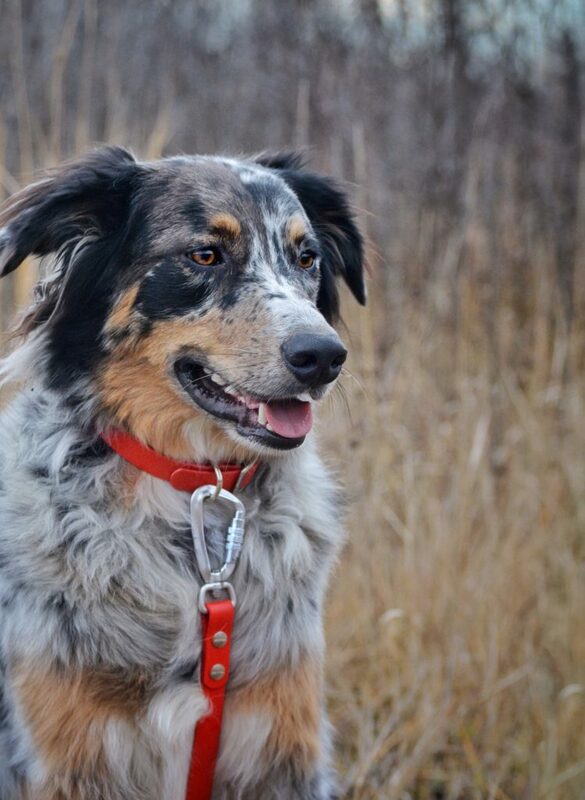 Rain, snow or shine the Petoji Adventure Collar will not let you down. 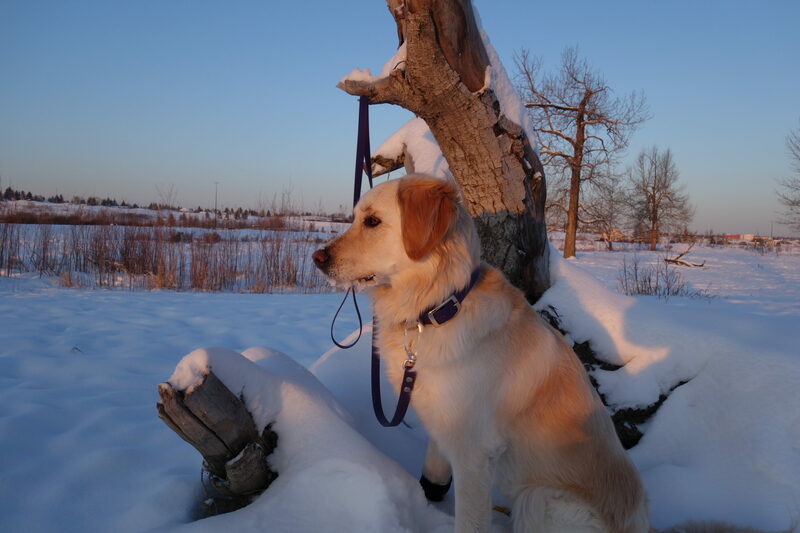 Emma is an outgoing retriever cross that is constantly running through snow, mud puddles, rivers, sand, and loves digging in the dirt. By the end of a hike or camping trip she is usually black instead of her usual gold colour which is how she affectionately earned her nickname “Pigpen”. This collars many great qualities have helped us weather our adventures. 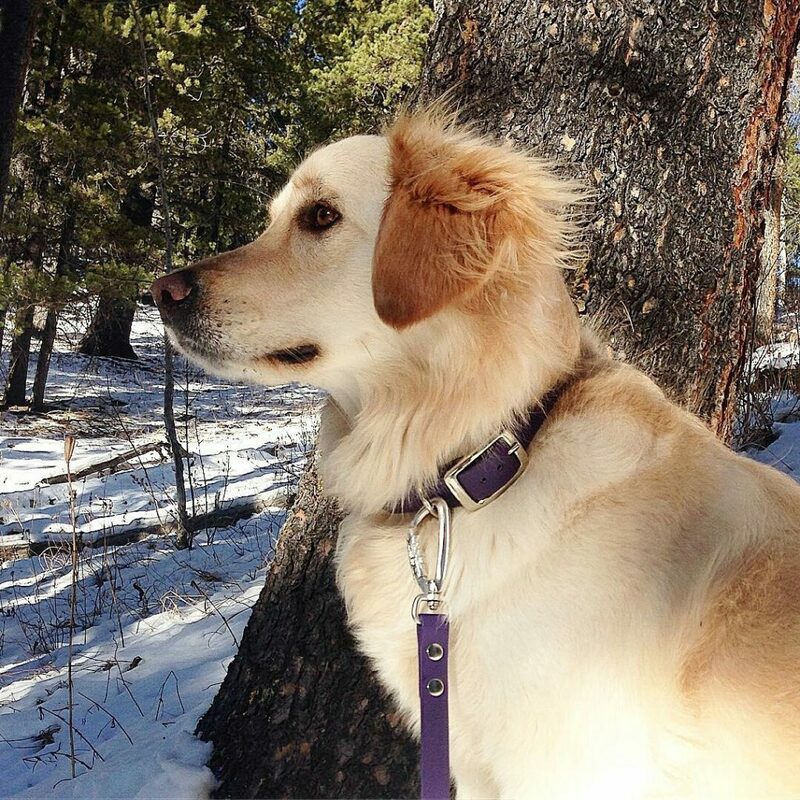 Emma has been testing the Petoji Adventure Collar in an extra large purple. The extra large size is one inch wide and designed for dogs who have 17″ to 20″ necks (it is 23 inches long including the buckle). The design of the collar is a traditional sturdy belt and buckle collar with a strong D ring for leash attachment. The buckle and D ring are made with a rust free metal that is beautifully polished and very strong, the belt is made with tough polyester webbing that is coated with PCV making it very durable and does not gain memory if it is folded. It is so wonderful to have a collar that is waterproof and easy to clean when you own an adventure loving pooch. 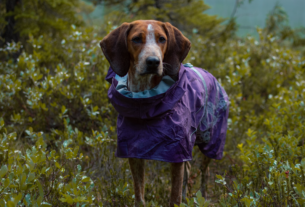 It does not hold smell or harbor bacteria (that I can tell) which is great to help prevent those nasty skin infections dogs can develop under their collars from long term use in wet conditions. In my opinion the style is simple and traditional which I personally like and I feel it has proven to work well with most breeds. The collar I have was a little longer than I liked for Emma so I trimmed down the length a little and the edge has not frayed at all the way it would with a traditional nylon collar. The quality and durability of this collar is worth the money spent, which is a very reasonable cost and priced appropriately for the value that you get. I could not imagine this collar snapping or deforming under any condition of normal use. The metal buckle and D-ring is thick and strong, it would likely not deform over time and seems to be scratch resistant, though my dog has a long mane so perhaps the hair protects the buckle from scratching. One Trail Tester noted the shape of her buckle had a slight flaw but it did not affect the function or durability of the buckle. The belt is tough and smooth as leather but there is the added bonus of being waterproof so it does not dry out like leather can, making it even stronger than leather. The fit is very flexible, as buckle collars allow for many different neck circumferences but because the material has no memory and is so durable the collar will not fit in a round cozy shape. Instead it bends slightly at the point of the buckle attachment making it more of a oval shape around the neck which does not bother us at all as Emma has a long mane, however, may not be ideal for a dog with extremely short coat. One thing we did note is that because it is one inch thick and a durable material it is a bit heavier than we personally prefer. As Petoji now offers the option to customize, if you would like a lighter collar you could choose a different width, however, if you have a strong breed that may pull from time to time the one inch width collar can take the abuse. There are so many colors to choose from, you can pick your favorite and know that the color will not fade or bleed onto your dog’s fur; our beautiful dark purple looks as good as the day we got it! 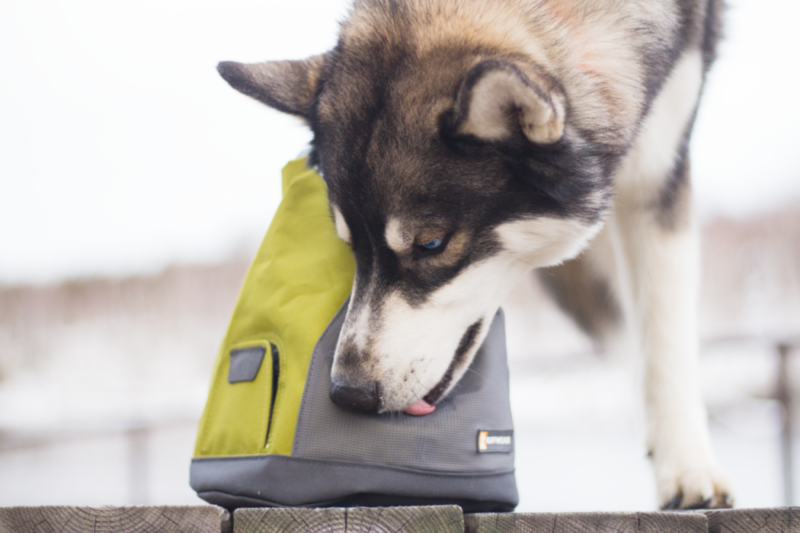 Petoji has recently added more hardware options for their leashes so you can choose silver, black or coloured, although it appears that collar hardware are only currently offered in silver. While your hardware is currently a standard silver, you can customize the collar to any width length or color so have some fun making your own adjustments! This collar has served us wonderfully and we will consistently be using it in the future especially on adventures where there will be wet conditions. I would absolutely without hesitation recommend this collar for camping, hiking, swimming, mud loving fur friends in the USA. For us Canadians, the shipping is still a little pricey but Petoji is looking at expanding in to Canadian retailers so you may find it at a store near you soon. 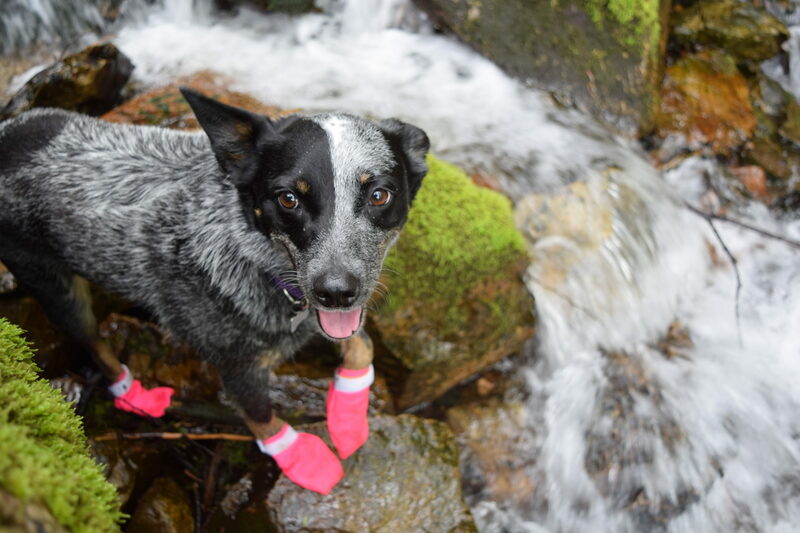 Overall, great work Petoji for designing such a tough, waterproof collar, you really had the adventure pups like my “Pigpen” pup in mind when designing it!